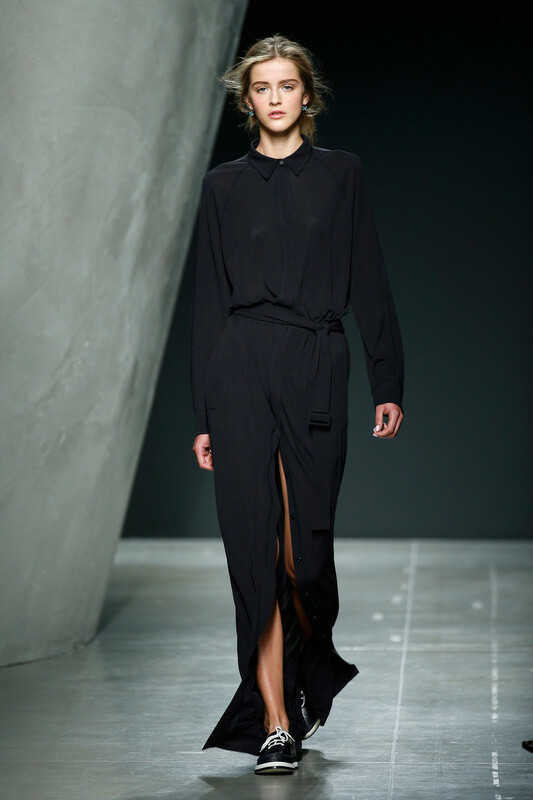 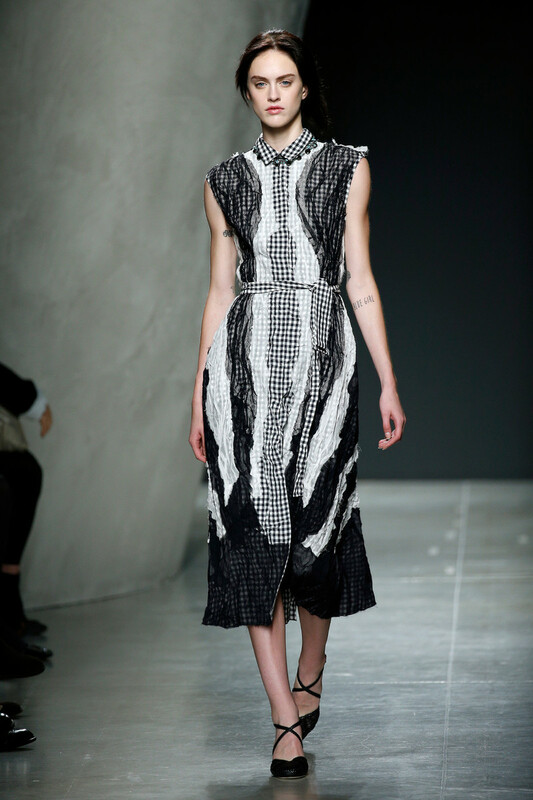 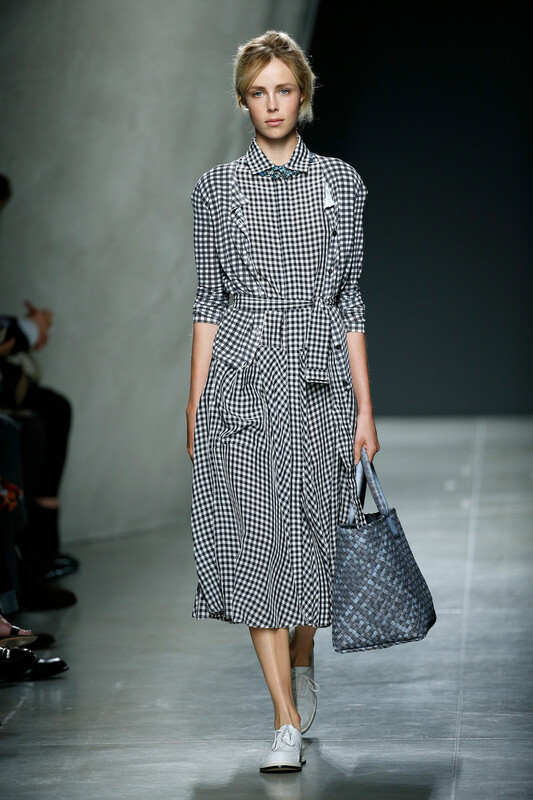 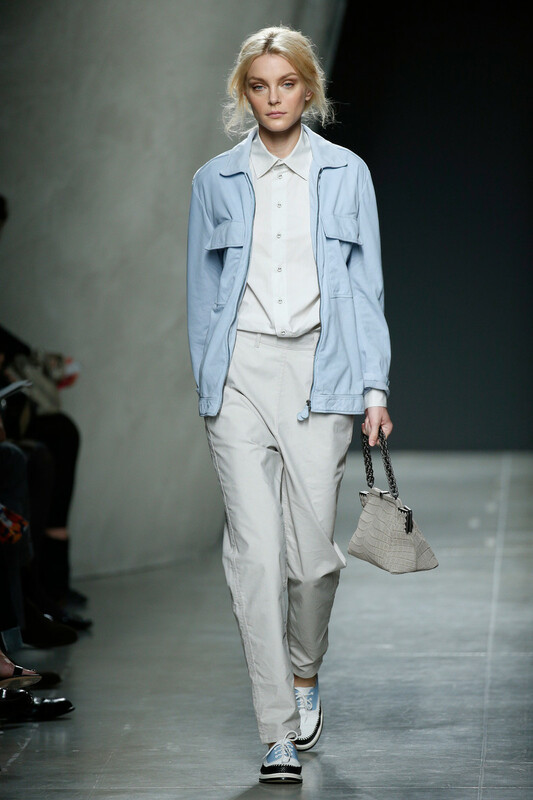 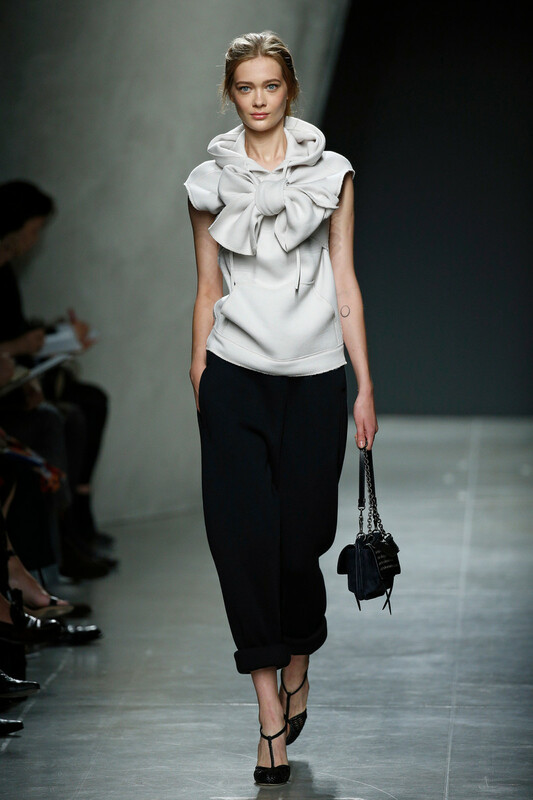 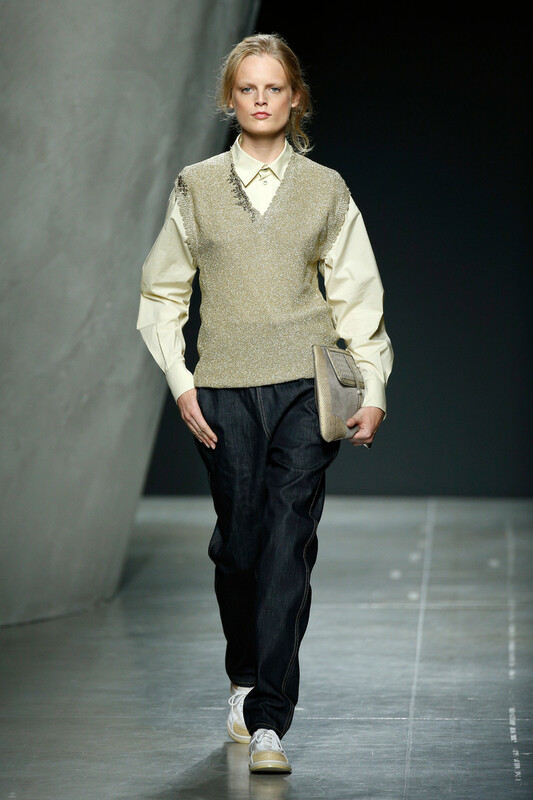 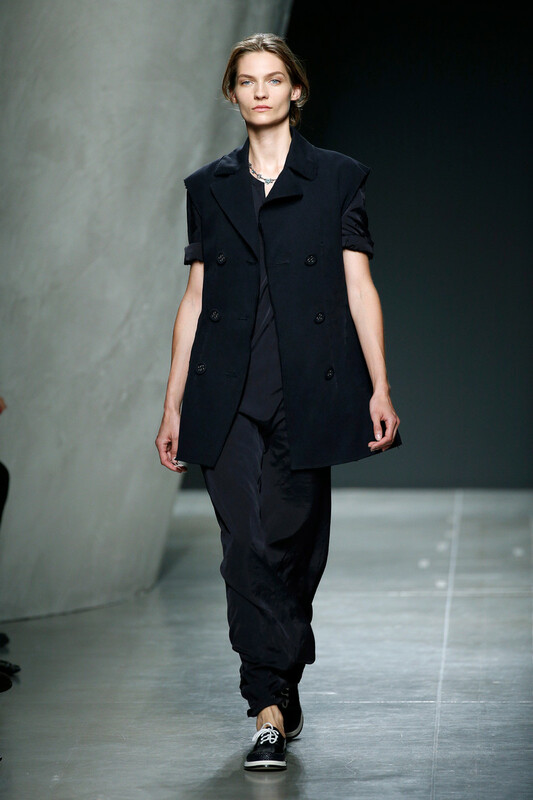 Luxurious, sophisticated, elegant; words coming to mind while watching Bottega Veneta’s fifties style collection. 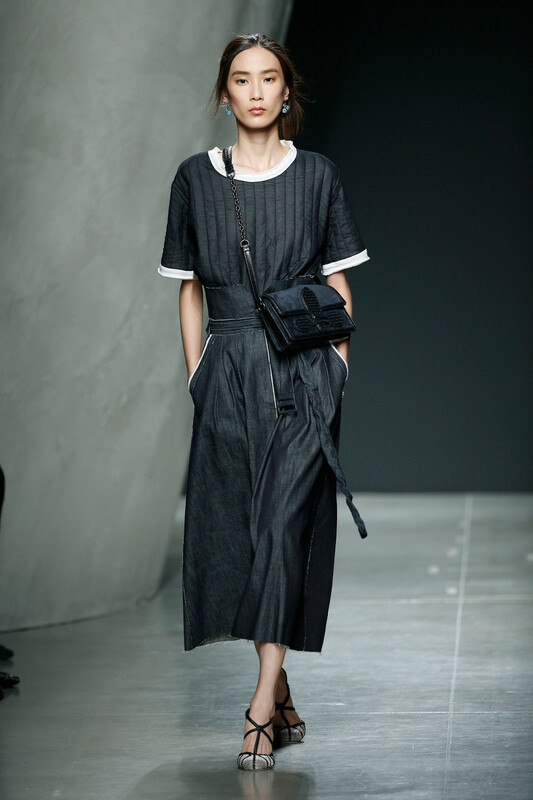 Undone ballerina buns, multicolored brogues and the label’s famous leather bags were the extra’s to Tomas Maier’s feminine summer creations. 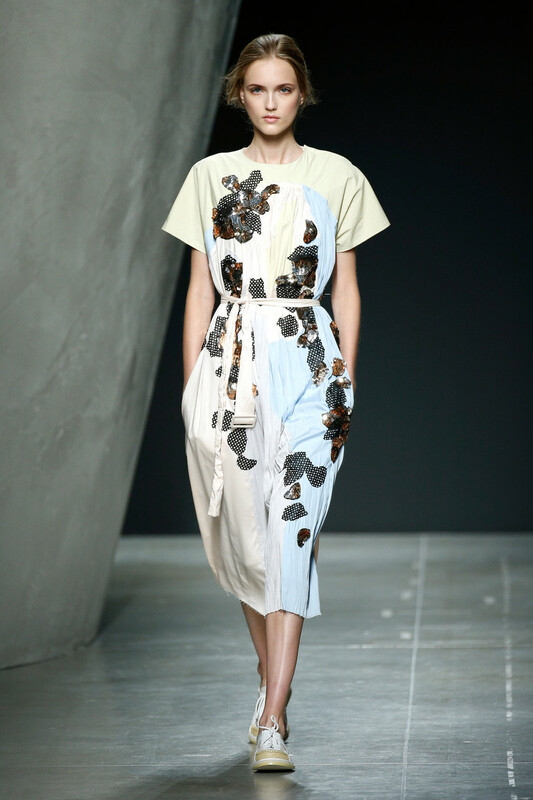 In a palette of faded pastels, denim blue and black he sent out his flattering city chic designs. 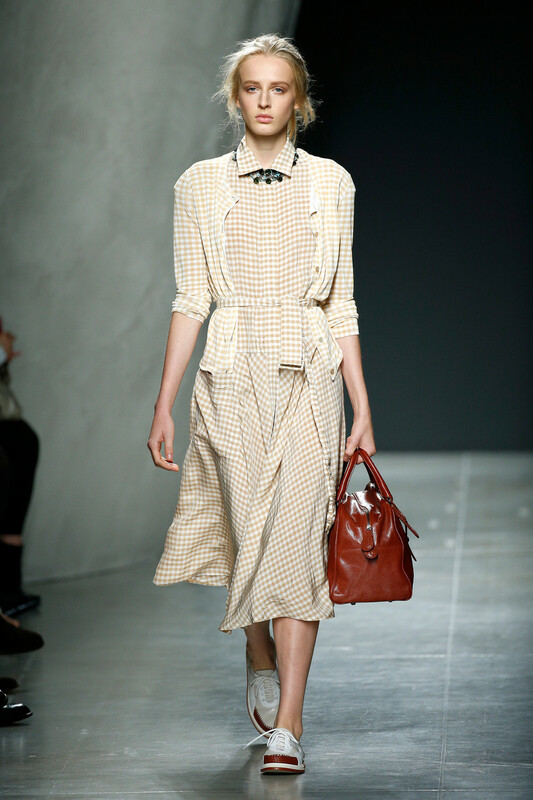 Silky tops with tied belts, a floor sweeping trench, high waisted shorts and a cropped top, belted gingham dresses and long cardigans. 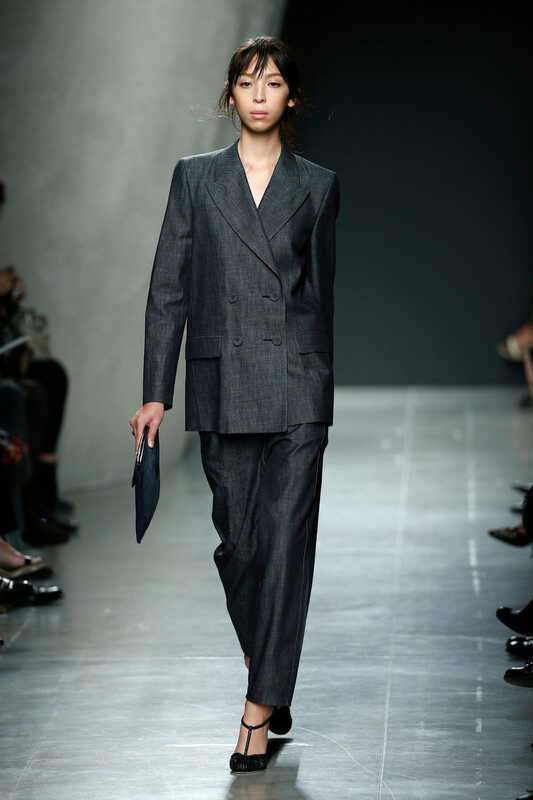 Dark denim almost came in disguise, used on a number of dresses, a suit and a very masculine pair of jeans. 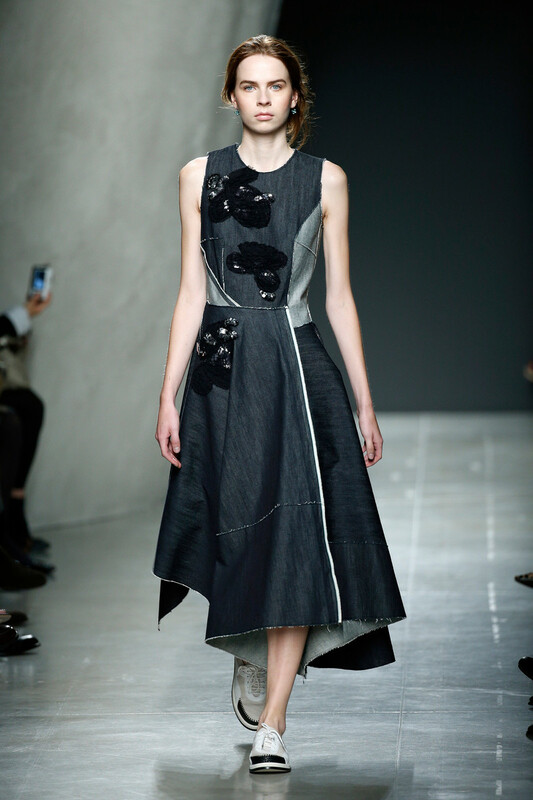 Dark denim that turned into black for evening with floral appliqués to add some extra glamour. 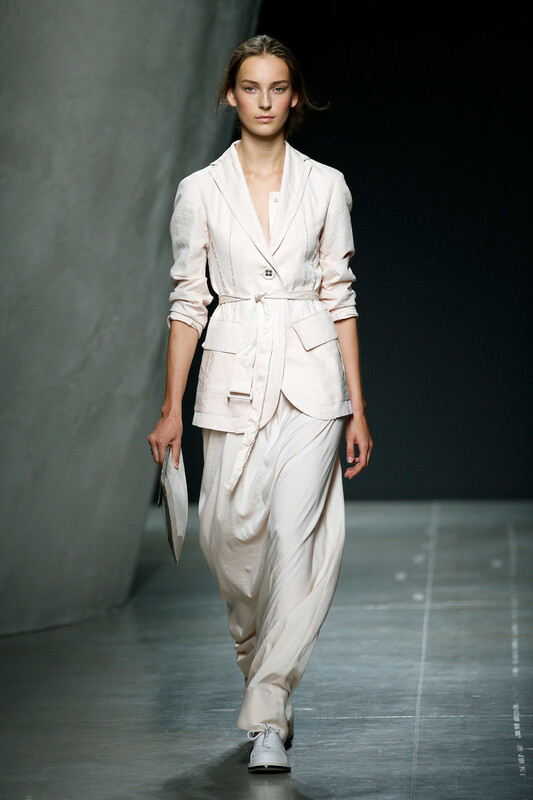 With a summer wardrobe like this, BV’s woman will never be underdressed.